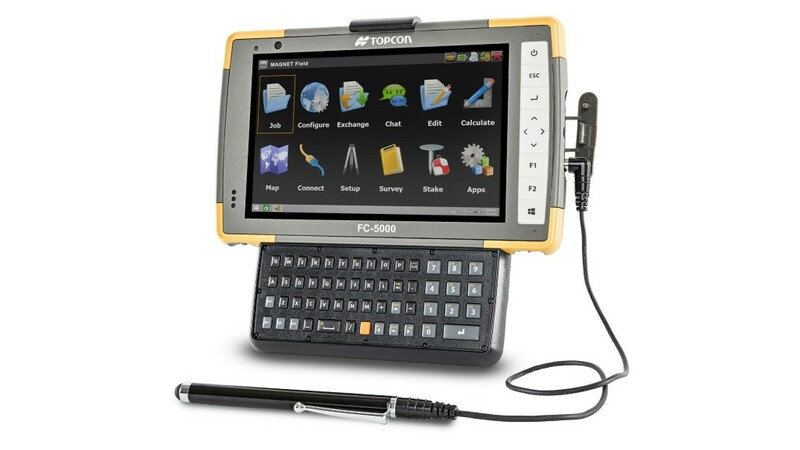 New accessories for Topcon's FC-5000 field computer improve performance in harsh conditions. "The new keyboard quickly and easily attaches to the FC-5000 with a clip and ram mount ball. It features a positive response, raised key, and a full QWERTY keyboard design," said Ray Kerwin, director of global surveying products. "It offers an excellent alternative if touchscreen operation is inhibited by poor weather environments, or when operators need to enter detailed alphanumeric descriptions as well as navigate through MAGNET® Field menus without using the touch screen." "The new stylus with the electrical grounding improves reaction time on the display in cold or wet weather environments," said Kerwin.